using dead reckoning to back up your other visual navigation methods. 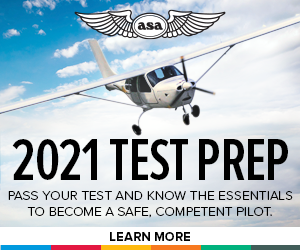 Today, we’ll feature an excerpt from this chapter specifically on chart-reading in flight. Ground School is available in hardcover and in multiple eBook formats. the selection and identification of landmarks and checkpoints. the elevation and side appearance of the feature if you are flying low. 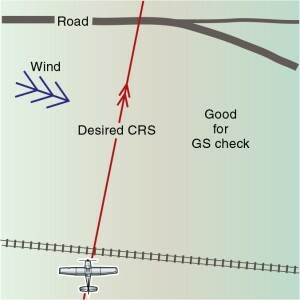 if a long feature crosses the course it can be used as a position line to aid in determining an updated groundspeed (GS). Confirm identification of your selected feature by its relationship with other features. The relationship between your selected feature and other nearby ground features is very important for a positive confirmation of your position. For example, there may be two small towns near each other, but you have chosen as a feature the one that has a single-track railroad to the west of the town and with a road that crosses a river on the north side of the town, whereas the other town has none of these features. This should make positive identification fairly easy. Long, narrow features are particularly useful for groundspeed checks.